Add some silly last-minute Thanksgiving decor to your home with this super quick tutorial. 1. 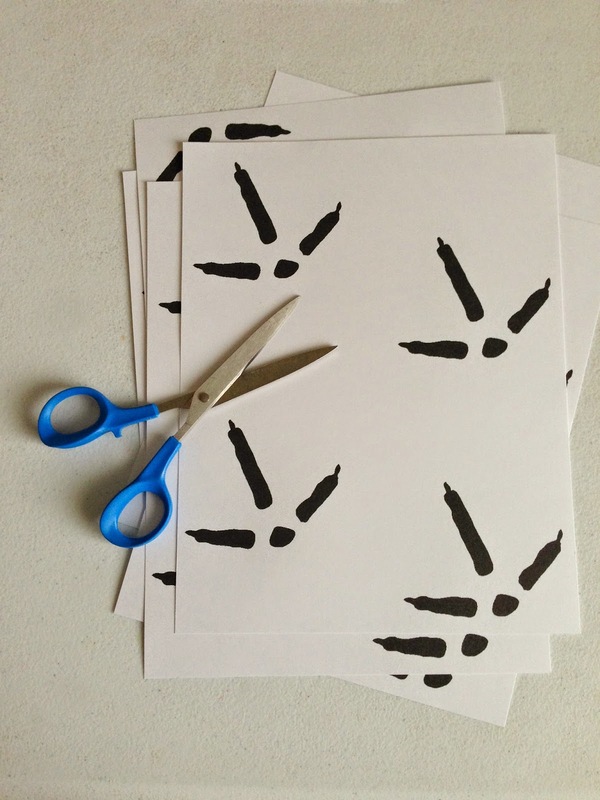 Print out clip-art images of turkey tracks onto cardstock. 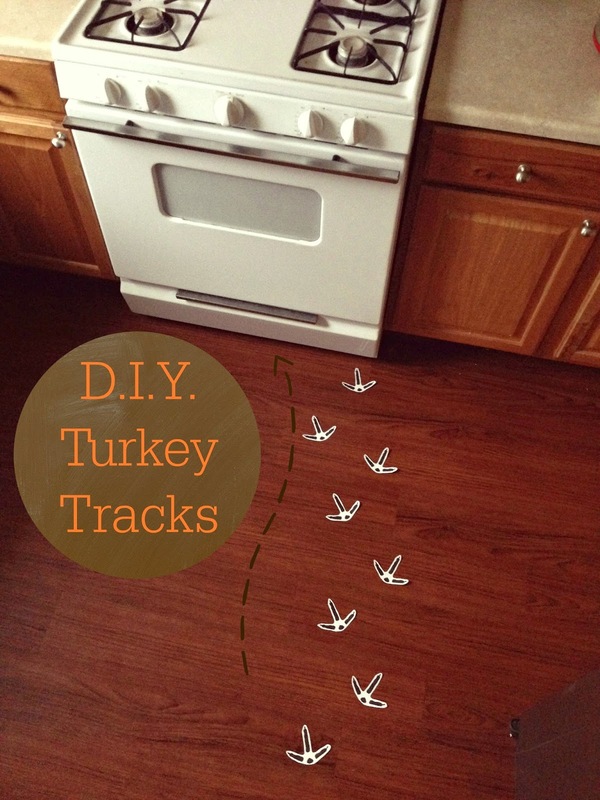 Use the tracks to lead your guests from the front door to their place of honor at the dining table. Let kids follow the tracks to a special prize...or the dessert table. Sprinkle the tracks across the dining table. 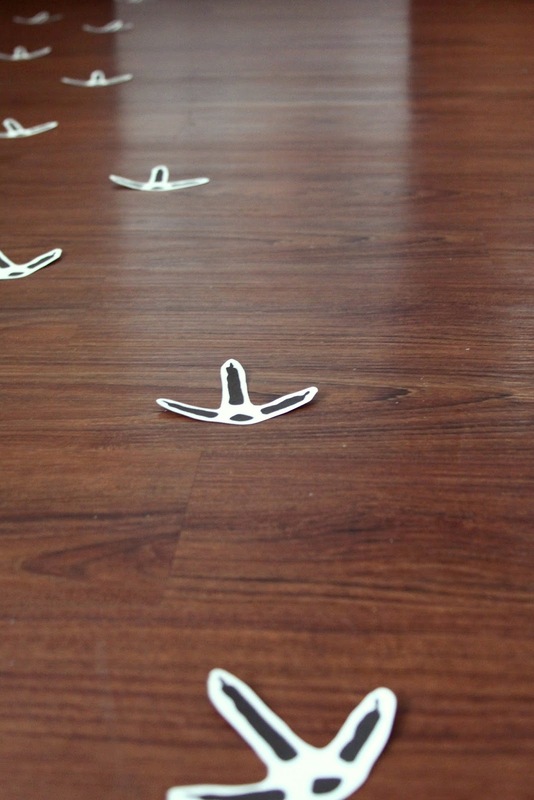 Or make a game of it: Hide the turkey tracks & whoever finds the most, wins! --->Turkeys have a fourth toe, which faces backward. But this does not always show in the tracks because they don't always place the foot entirely flat on the ground. Sometimes there will be a mark from the claw.